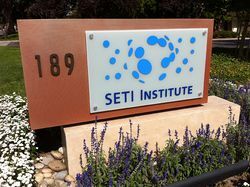 Founded in November 1984, the SETI Institute is a Section 501(c)(3) nonprofit scientific research organization located in Mountain View, California. Their mission is to explore, understand and explain the origin, nature and prevalence of life in the universe. They also look for aliens.